(Lance Schuttler) With George Orwell’s classic book, 1984, trending in the U.S. right now, it’s time we also take a look at other books that are eye-opening and those that can raise awareness and create dialogue on important issues that have happened in the past and issues that we face in our world today. 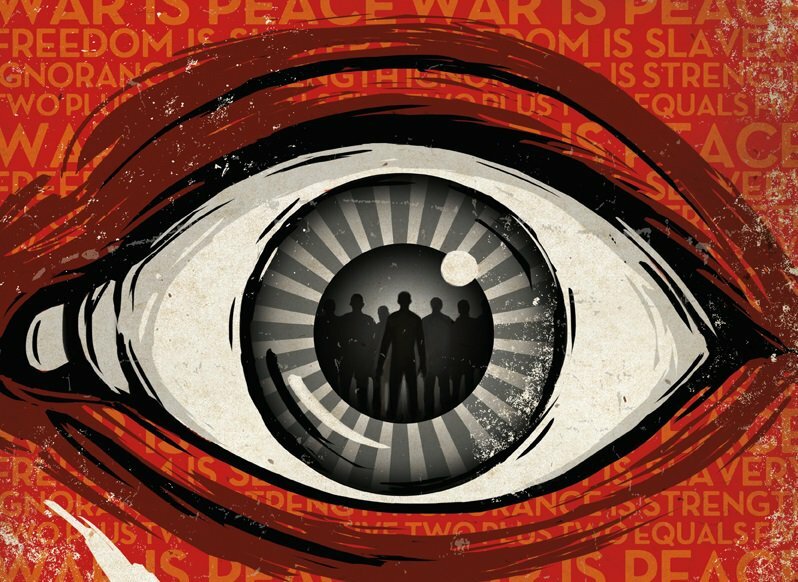 1984 by George Orwell: Though it was written as fiction, it is viewed in the eyes of many as what our society has become due to the police state that has been implemented to a large degree here in the U.S. A classic. Gold Warriors: America’s Secret Recovery of Yamashita’s Gold by Peggy and Sterling Seagrave: In 1945, US intelligence officers in Manila discovered that the Japanese had hidden large quantities of gold bullion and other looted treasure in the Philippines. President Truman decided to recover the gold but to keep its riches secret. These, combined with Japanese treasure recovered during the US occupation, and with recovered Nazi loot, would create a worldwide American political action fund to fight communism. This ‘Black Gold’ gave Washington virtually limitless, unaccountable funds, providing an asset base to reinforce the treasuries of America’s allies, to bribe political and military leaders, and to manipulate elections in foreign countries. This relates to what is known as the global collateral accounts and is one of the biggest secrets the elite bankers have in this world. Hidden Finance, Rogue Networks and Secret Sorcery: The Fascist International, 9/11 and Penetrated Operations by Joseph P. Farrell: Farrell investigates high financial fraud, international banking, hidden systems of finance, black budgets and breakaway civilizations and discusses the theory that there were not two levels to the 9/11 event, but three. He says that the twin towers were downed by the force of an exotic energy weapon, one similar to the Tesla energy weapon suggested by Dr. Judy Wood, and ties together the complex web of missing money, secret technology and involvement of portions of the Saudi royal family. He unravels the many layers behind the 9-11 attack, which include Deutschebank, the Bush family, the German industrialist Carl Duisberg, Saudi Arabian princes and the energy weapons developed by Nikola Tesla before WWII. Magicians of the Gods: The Forgotten Wisdom of Earth’s Lost Civilization by Graham Hancock: A New York Times best-selling book brings new evidence supporting Hancock’s thesis that a global cataclysm wiped out a great, technologically-advanced global civilization in our past. DMT: The Spirit Molecule: A Doctor’s Revolutionary Research Into The Biology of Near-Death and Mystical Experiences by Dr. Rick Strassman: From 1990 to 1995 Dr. Rick Strassman conducted U.S. Government-approved and funded clinical research at the University of New Mexico in which he injected 60 volunteers with DMT, one of the most powerful psychedelics known. His detailed account of those sessions is an extraordinarily riveting inquiry into the nature of the human mind and the therapeutic potential of psychedelics. DMT, a plant-derived chemical found in the psychedelic Amazon brew, ayahuasca, is also manufactured by the human brain. In the volunteers, it consistently produced near-death and mystical experiences. Many reported convincing encounters with intelligent nonhuman presences, aliens, angels, and spirits. Nearly all felt that the sessions were among the most profound experiences of their lives. It is a book of profound implications for the individual and for society. Pathway to Bliss: Mythology and Personal Transformation by Joseph Campbell: Campbell defined myth as “other people’s religion.” But he also said that one of the basic functions of myth is to help each individual through their personal journey of life, which provides a kind of travel guide or map to reach fulfillment/bliss. To Campbell, many of the world’s most powerful myths support the individual’s heroic path toward bliss, which he describes from a personal and psychological perspective. The Ascension Mysteries by David Wilcock: Through his contact with a positive higher intelligence behind the UFO phenomenon, groundbreaking scientific information, and data from high-ranking government whistle-blowers, David reveals that the Earth is now on the front lines of a battle that has been raging between positive and negative extraterrestrials for hundreds of thousands of years. By bringing together ancient texts from a variety of religions, with scientific data and insider testimony, David presents a stunning conclusion: that Earth is on the verge of a massive cosmic event via the Sun that will transform matter, energy, consciousness, and biological life as we now know it. David is one of the foremost lecturers and researchers on the UFO/ET phenomena and this book is the result of decades of research, personal experience and insider information. Plant Intelligence and the Imaginal Realm: Beyond the Doors of Perception Into the Dreaming of Earth by Stephen Harrod Buhner: Buhner reveals that all forms of life on Earth possess intelligence, language, a sense of “I” and a sense of “not I”, and the capacity to dream. He shows that by consciously opening the doors of perception, we can all reconnect with the living intelligences in Nature and become healed and whole again. The Lost Age of High Knowledge by Keith Hunter: There are only a few known copies left of this book available for sale in the world, which is for good reason. This incredible book connects the mathematical precision of the Pyramid of Giza to a range of other interesting topics like occult physics behind nuclear weapons, the physics, mathematics and geometry of astrology, the timing of earthquakes and weather events, the distortion of time due to nuclear weapons, sacred geometry and perhaps most interestingly, the NSA and the military bases at Pine Gap in Australia, Menwith Hill in the U.K and Buckley Air Force Base in the U.S. with respect to their intentional and specific locations that energetically tap into the Earth’s fields through resonance. It is our intention that these books help you to learn more about our past, our present and our future and to help the reader become a better person who is also even more informed than before. Knowledge is power and humanity is in the process of reclaiming it’s power from overlords that have ruled for far too long.